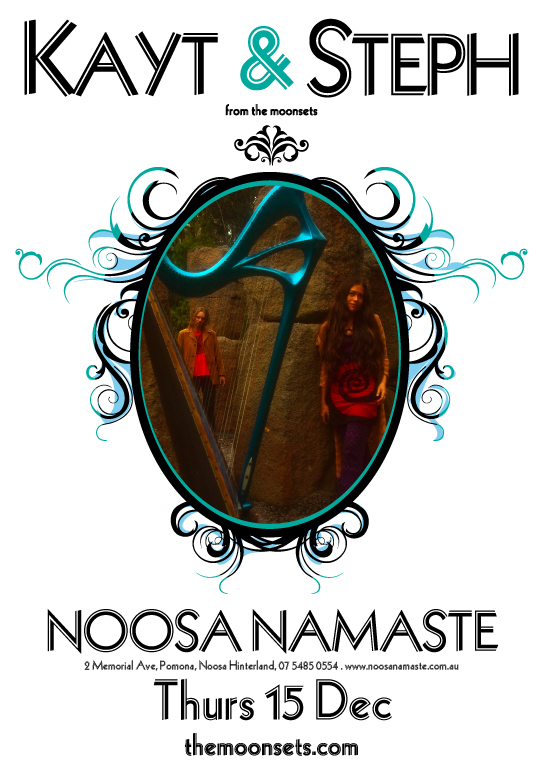 Kayt & Steph have a duo show this Thursday 15th December at the beautiful and very tasty Noosa Namaste. Surinder's unique contemporary cuisine drawing from Punjabi recipes his Mother and Grandmother passed on to him; the freshest of local produce; the 5000 year old Ayurvedic philosophy; and fresh Australian influences. + 2 sets from The Moonsets duo.